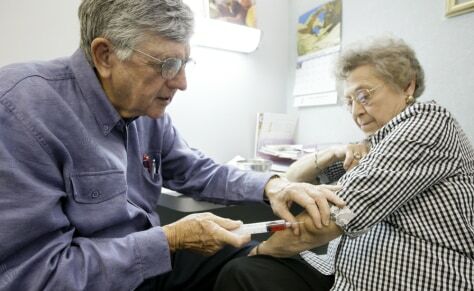 Dr. David Watson, left, drains the elbow of Dorothy Dean, 83, on Dec. 9, 2008 in Yoakum, Texas. Watson was named the 2008 Country Doctor of the Year. At age 78, he still sees up to 30 patients a day at his clinic and also makes house calls.